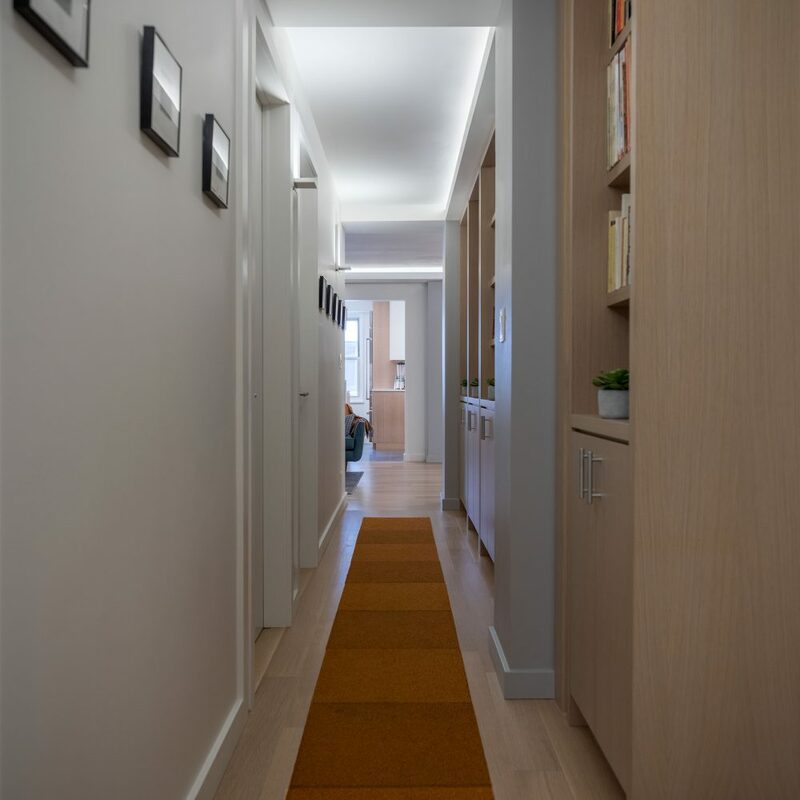 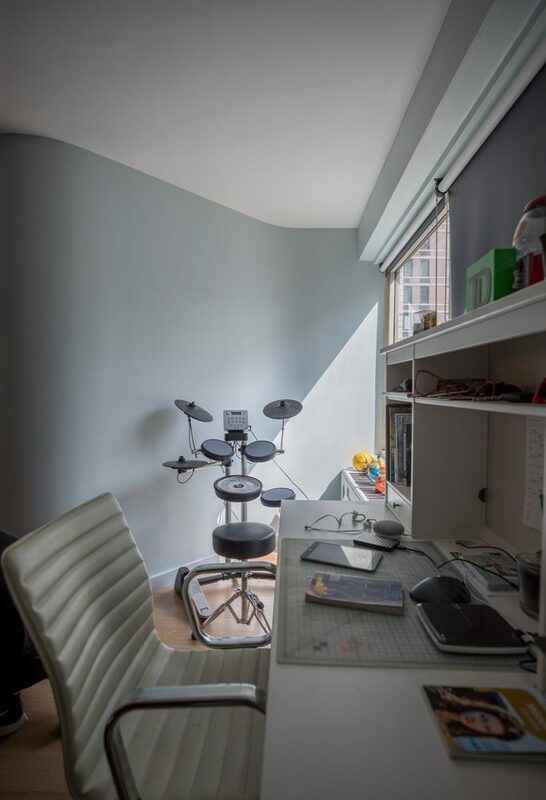 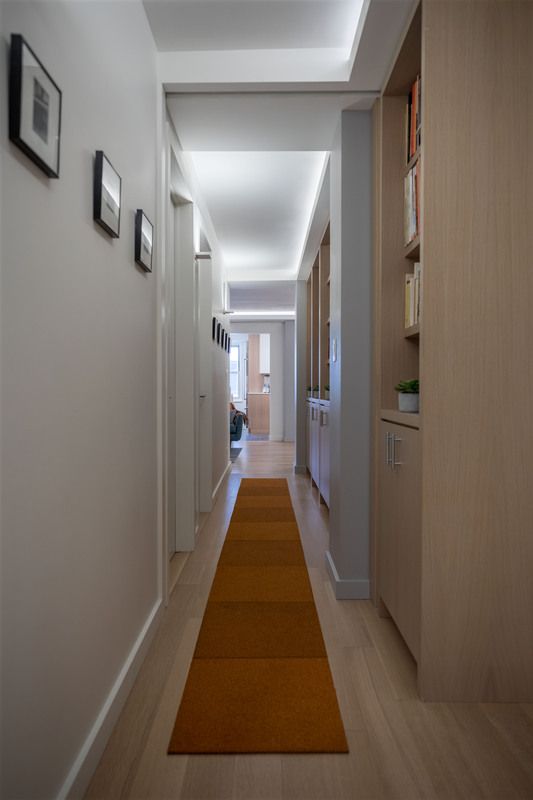 This project took two separate, very dated one-bedroom apartments and converted them into a single family home. 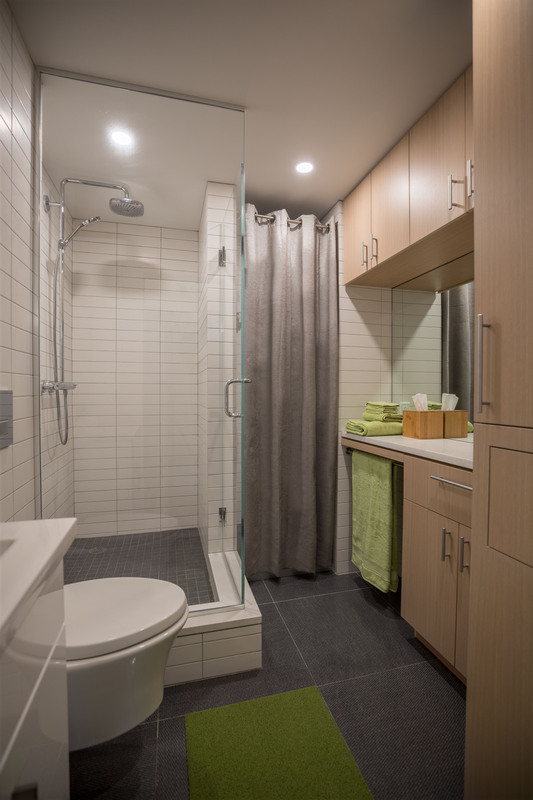 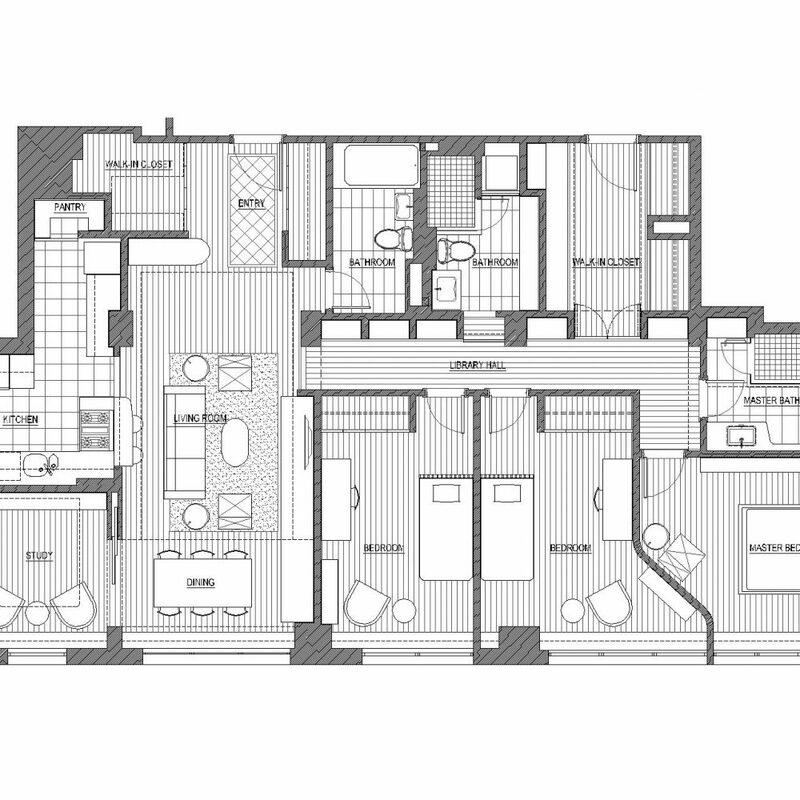 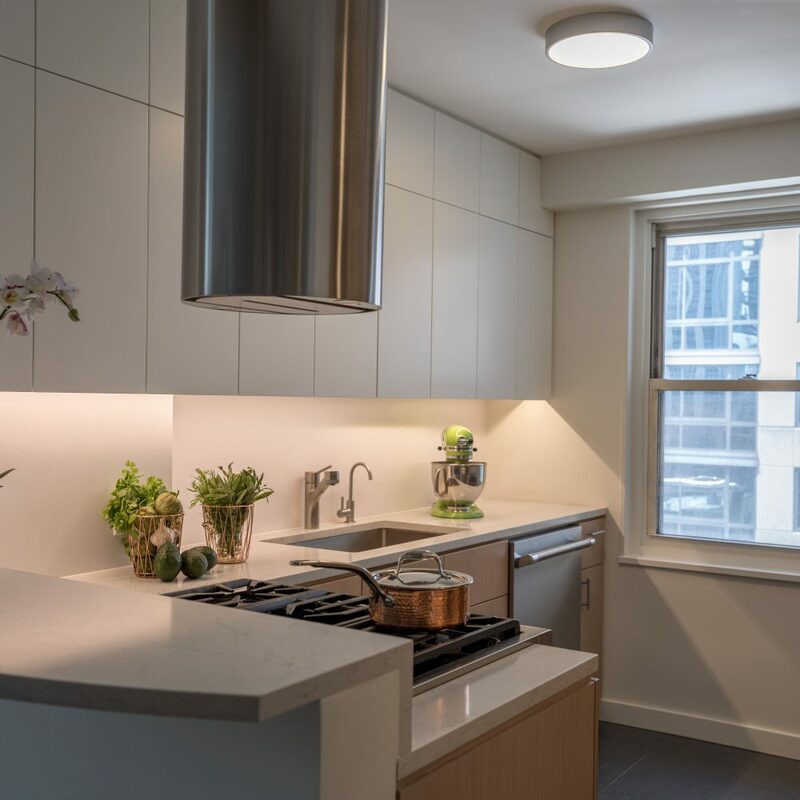 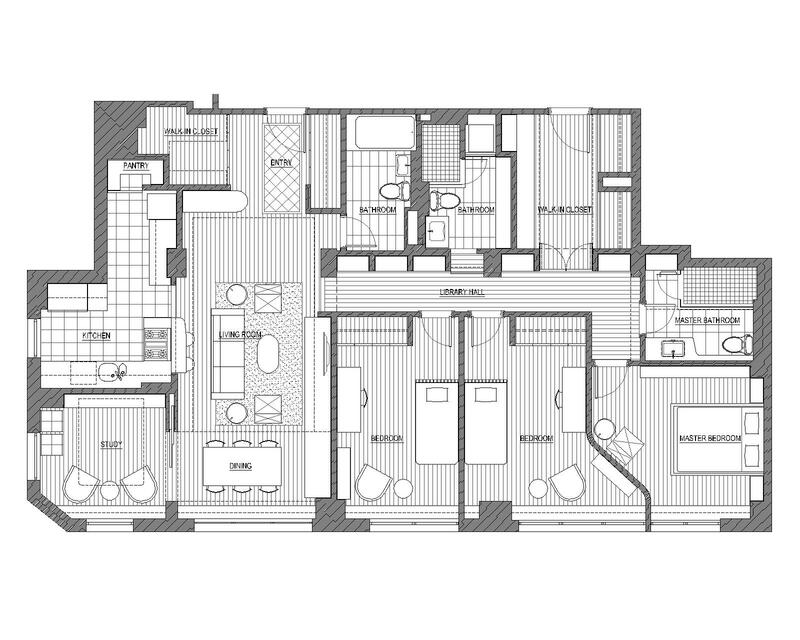 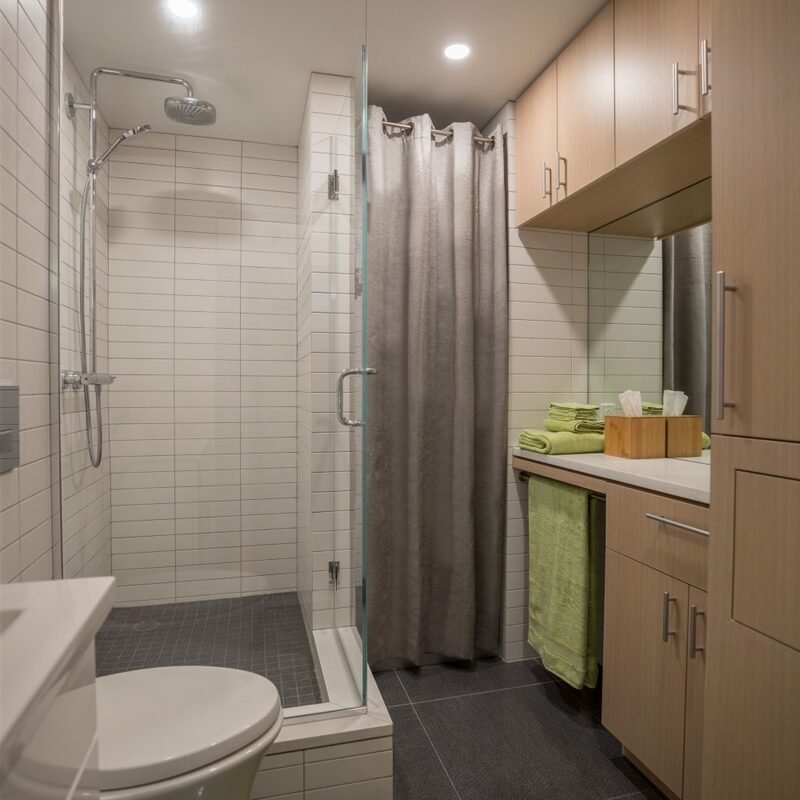 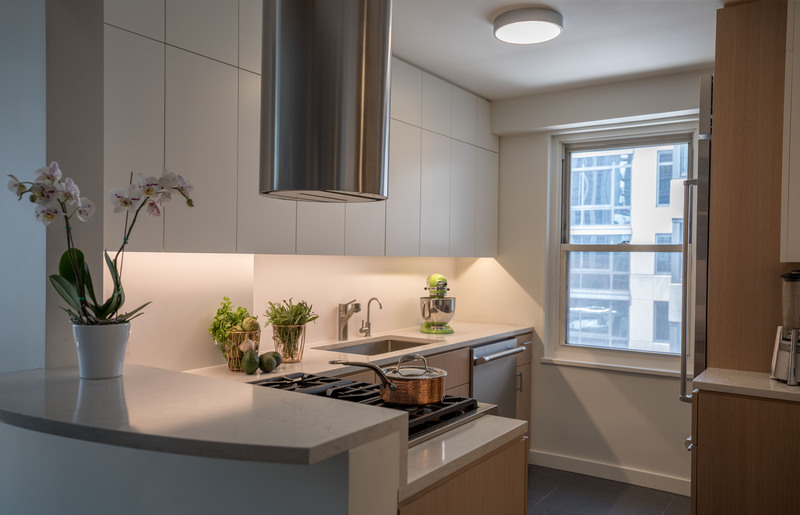 The new layout features 2 Bedrooms, a Master Suite with a Walk-in Dressing area and private Bathroom, 2 Baths, a Guest Bedroom, and an enlarged Kitchen and Pantry space. 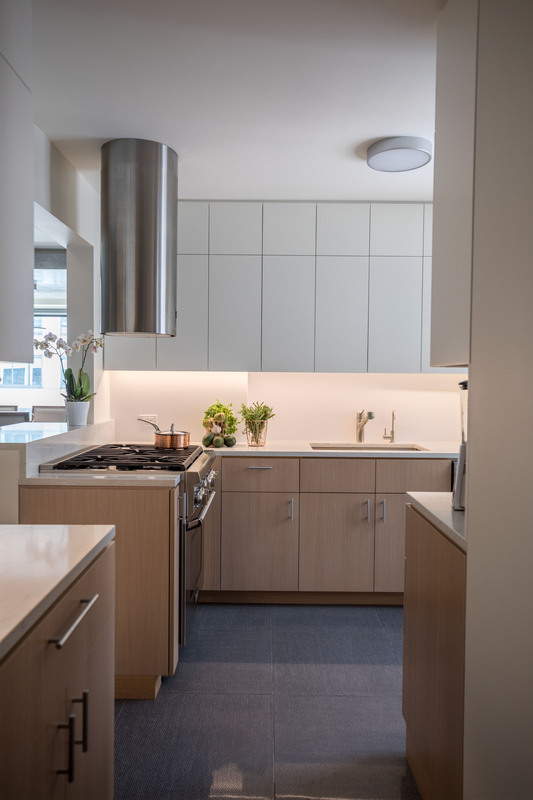 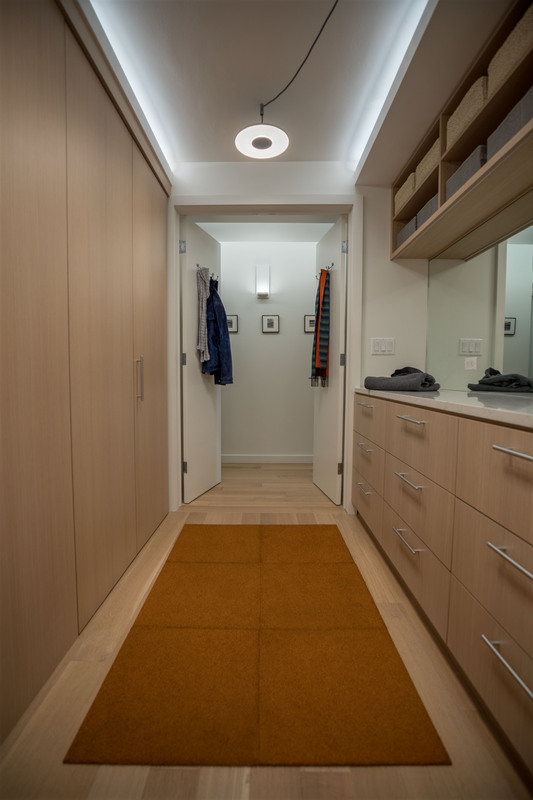 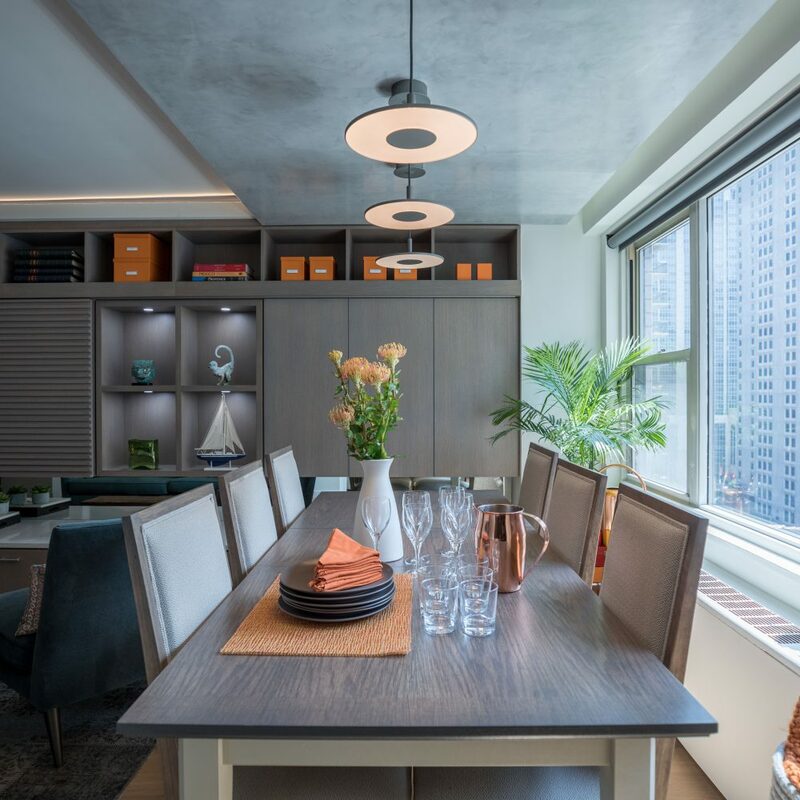 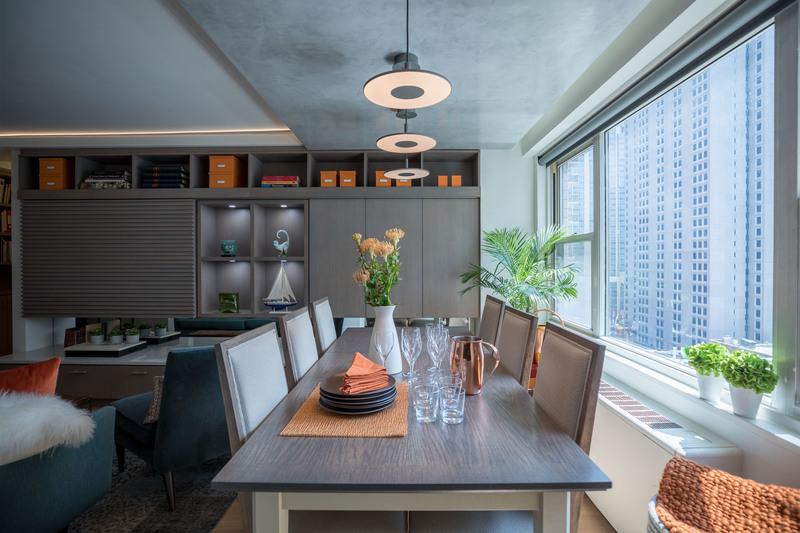 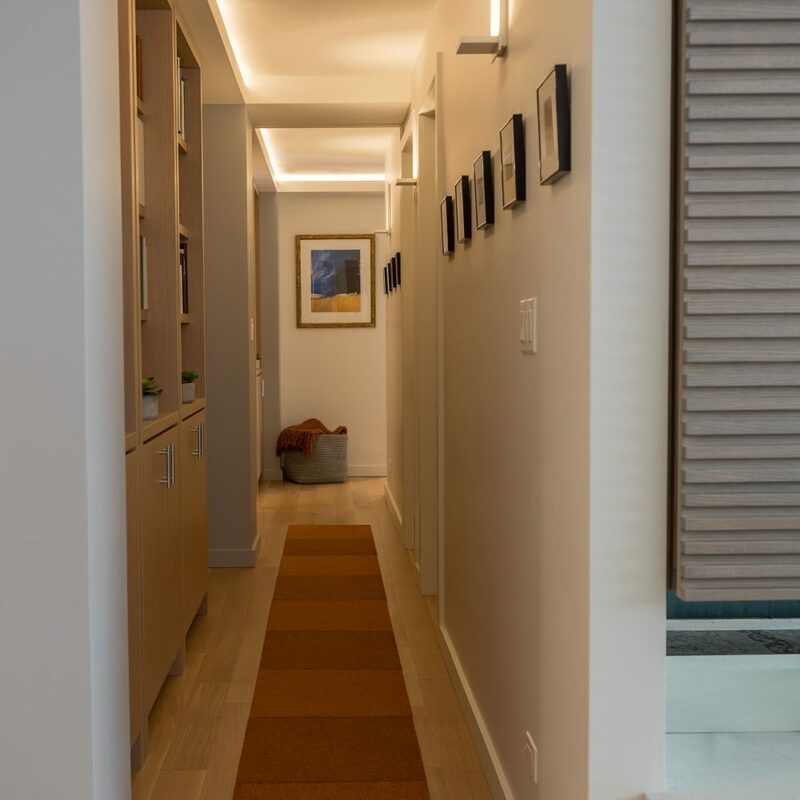 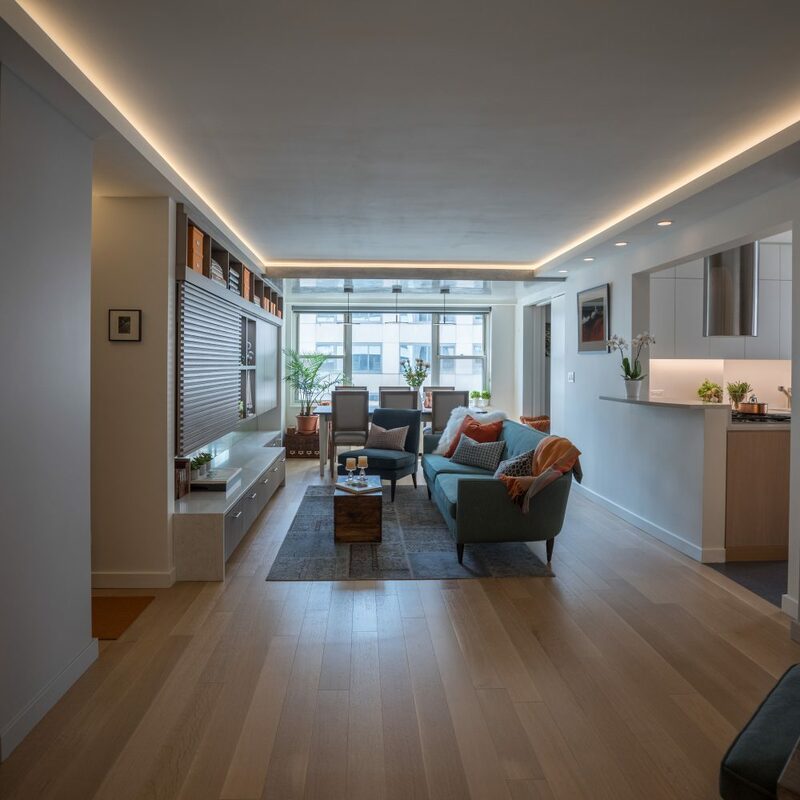 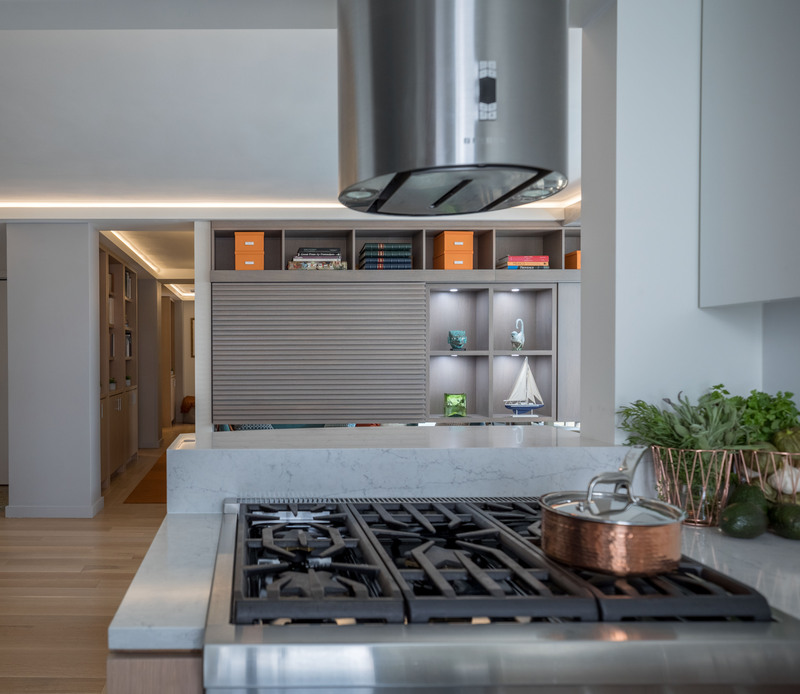 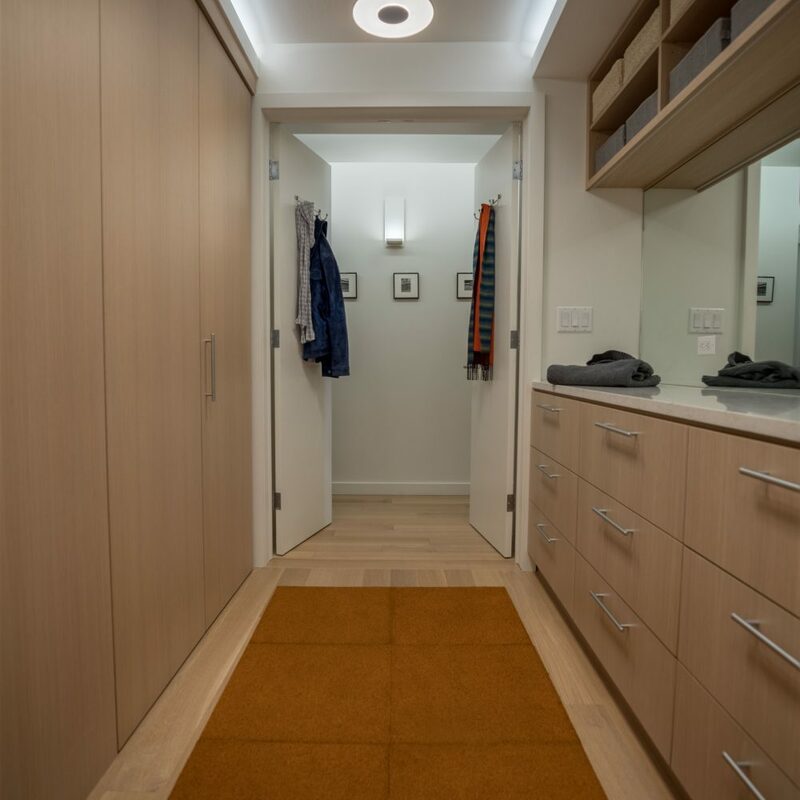 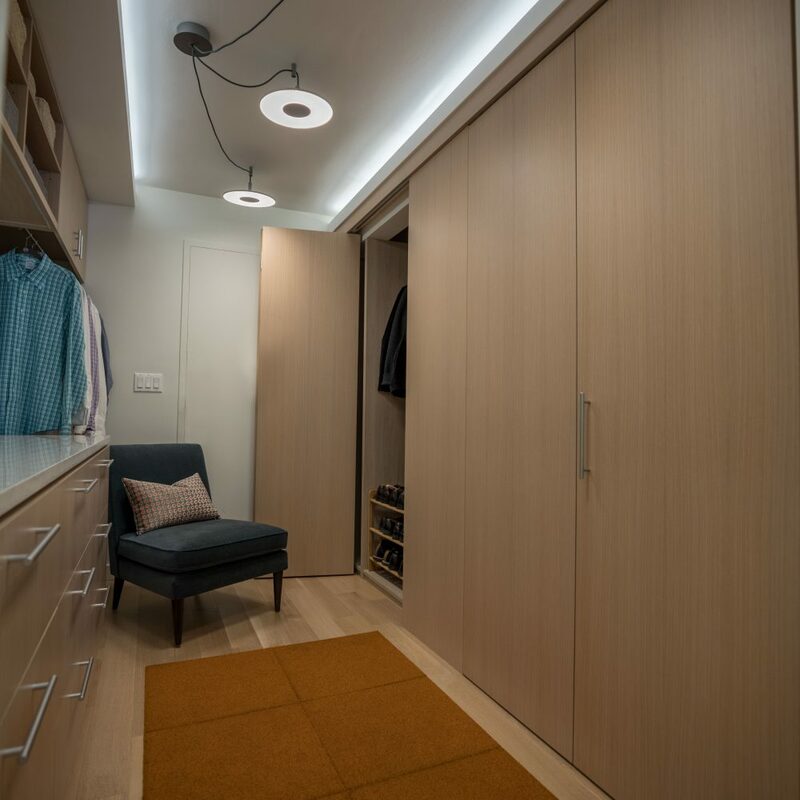 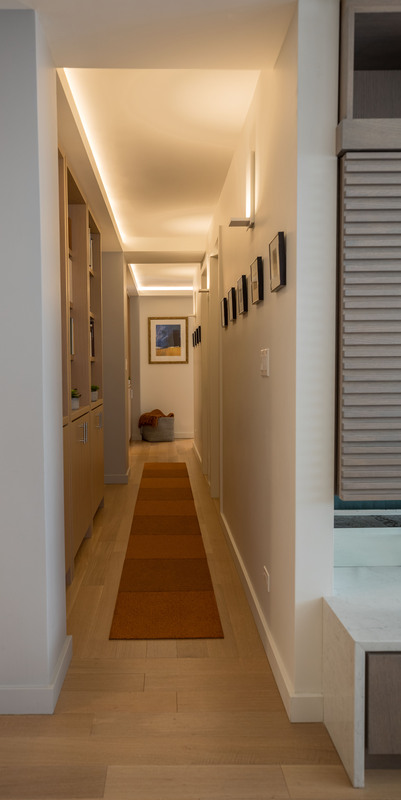 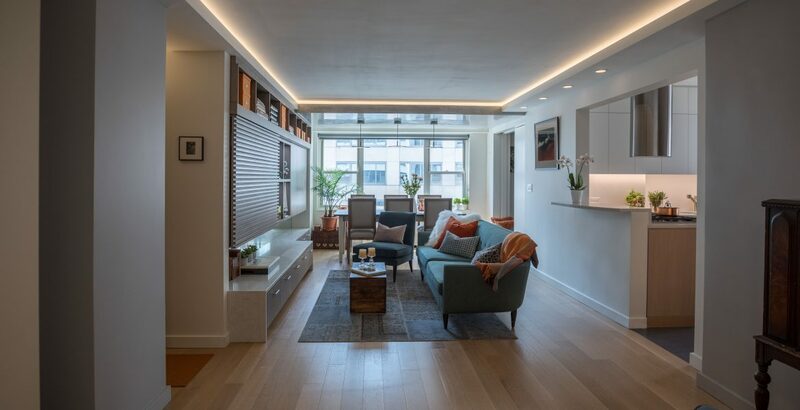 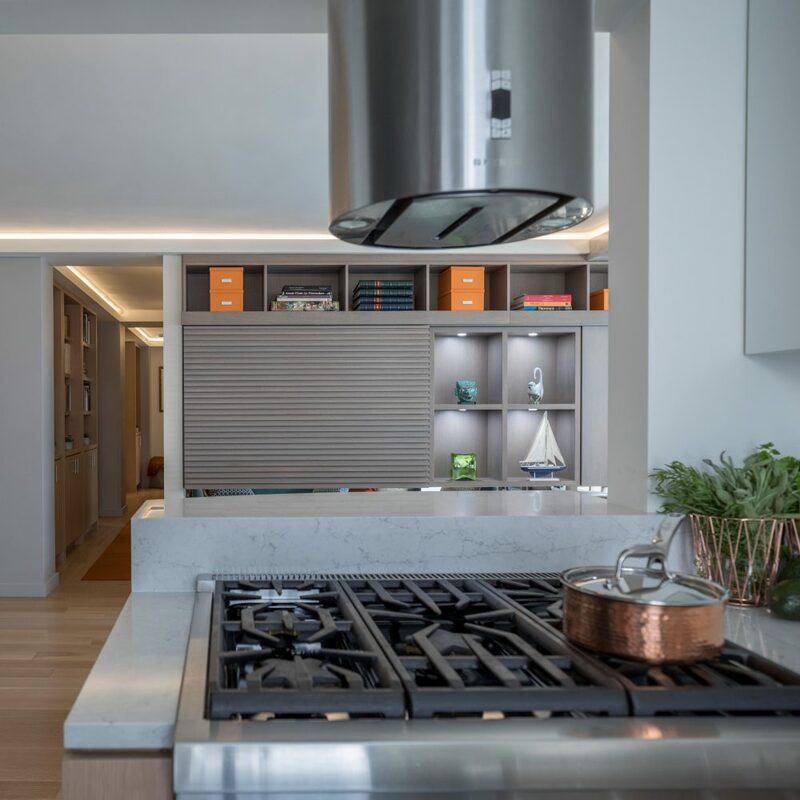 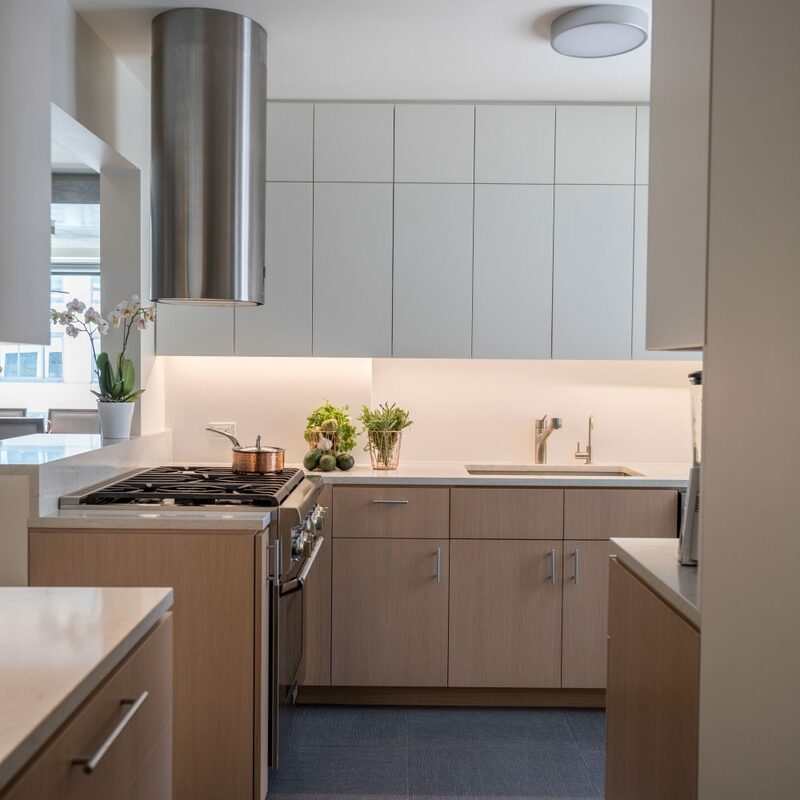 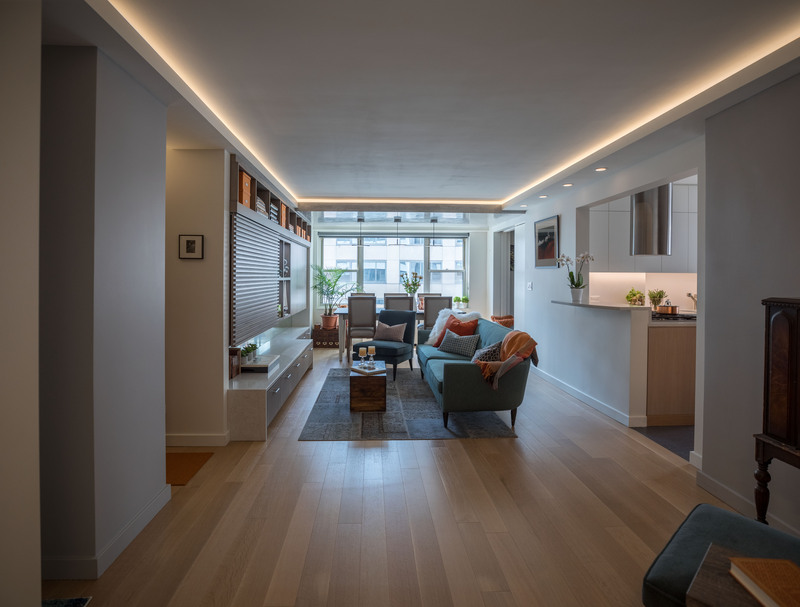 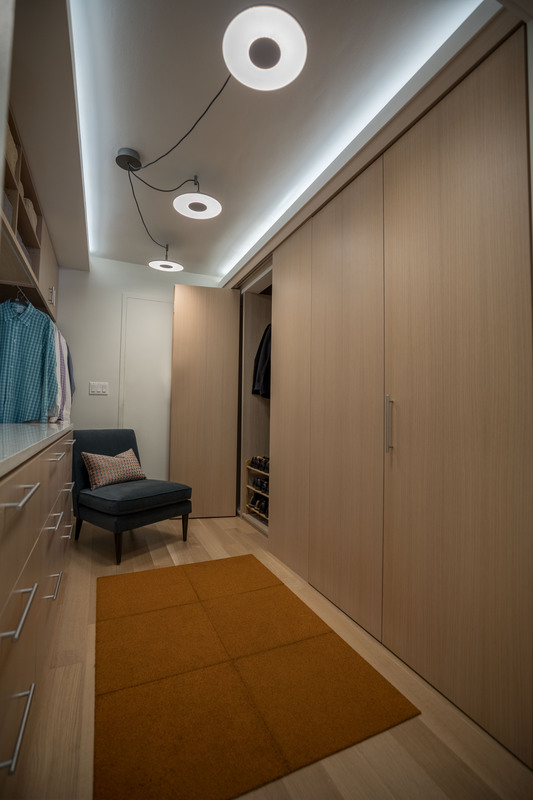 An abundance of closets, display shelving and a Library Hall provides ample storage for the young family and their live-in grandmother, while new wood flooring, custom cabinetry and recessed cove lighting bring the apartment into the 21st century.